Bring your umbrella! Rain or shine the ‘Fest’ goes on. Major storm delay alerts will be provided to the media and posted on social media and bluesfestwindsor.com. Is the festival site accessible? Riverfront Festival Plaza is fully accessible by: entrance ramps off Riverside Drive and McDougall across from Caesars Windsor, Public parking areas to the west and east of the Plaza and washrooms. If assistance is needed, ask any security guard or volunteer in matching T-shirts and they will be pleased to assist you. NO. Thursday through Sunday are restricted to age 19 and over. 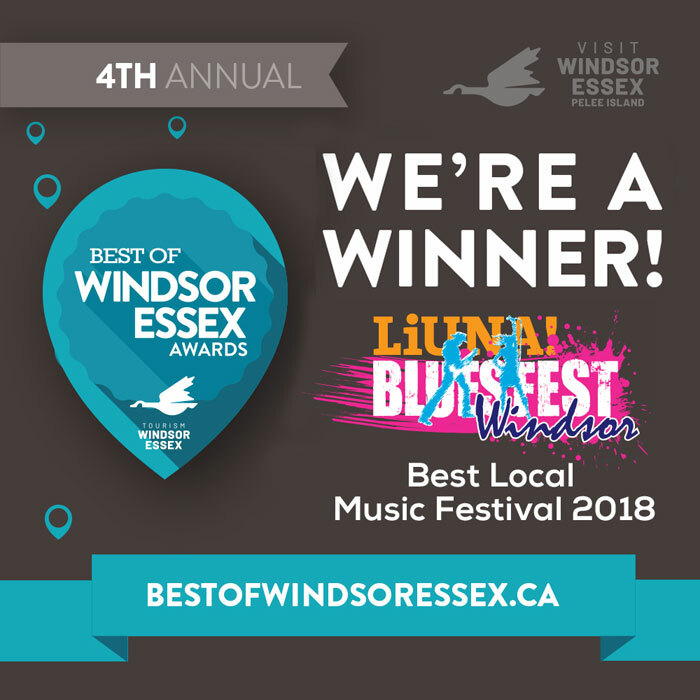 Cameras, photographic equipment and recording devices are not permitted at any time during the 4-day festival unless authorized by Bluesfest Windsor. Does the festival have a lost and found? Lost and found is located at the front gate with the security guards. Is smoking, cannabis, vaping or e-cigarettes allowed at the festival? No. Unfortunately smoking is no longer permitted on municipal (public) sites as outlined in the new Provincial No Smoking Guidelines. Lawn chairs are not permitted on site. Plenty of tables and chairs are provided. What type of food is available at the site? We’ve added our new specialty food court featuring upscale foodservice operators making their mark around WindsorEssex outdoor festivals. Check out our Vendor section for updated listings and menu offerings. Bluesfest Windsor’s 2019 Charitable Designate and Sponsor Donation Recipient. Thanks to our 2018 sponsors, Bluesfest Windsor ‘Gives Back’ $50,000 to Transition To Betterness in support of their many outstanding local programs. 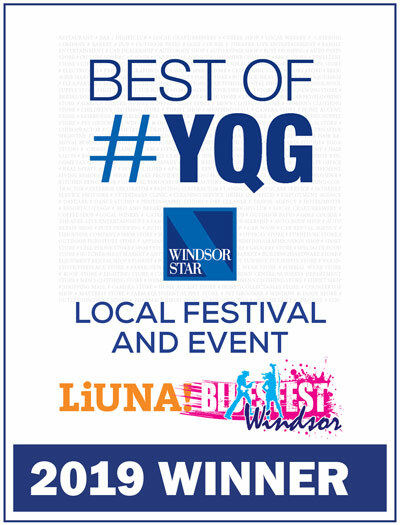 Hey Bluesfest Windsor Fans! Keep up-to-date with our latest event news and special promotions! We respect your privacy and we do not share email lists. You may opt-out of receiving our emails at any time.